Whooosh... just like that, Halloween is behind us and we're looking ahead to Thanksgiving and Christmas! Isn't it amazing how quickly time flies?! I LOVE the fall and winter holidays, and absolutely love getting together with family and friends to celebrate the importance of these holidays, and also just to hang out and enjoy each other's company. I remember when I was younger, my mom and I would always slice a teeny bit of each dessert at holiday dinners so that we could enjoy every single dessert available. Now that I'm grown, I still do the same so even though Thanksgiving screams out for pumpkin pie, I love having something different on the dessert table too... since I'm going to eat them all I like variety. 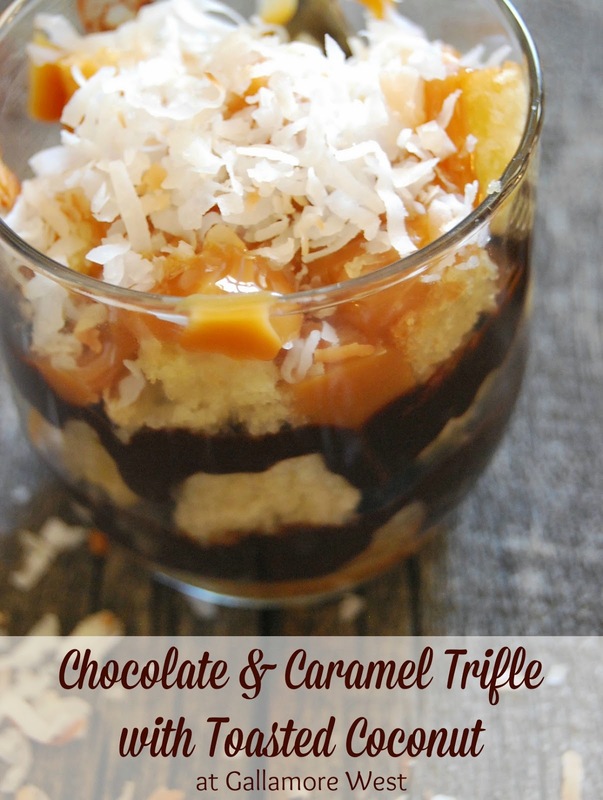 This Thanksgiving I'll be serving my Chocolate and Caramel Trifle with Toasted Coconut... hope you love them! Set oven to high broil. 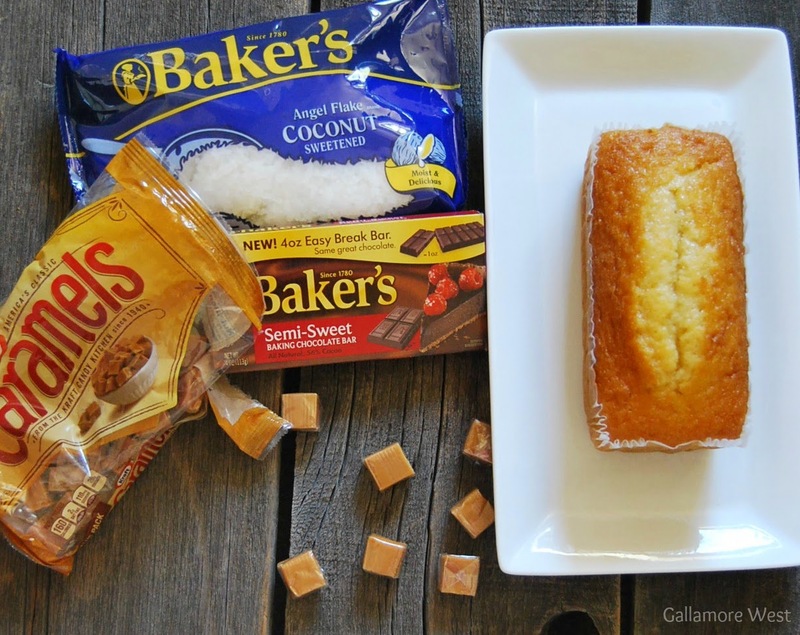 Spread coconut flakes onto a foil-lined baking sheet and broil until lightly toasted (broil times vary so watch it closely so it doesn't burn- mine takes about 3 minutes). Remove from oven, and set aside. 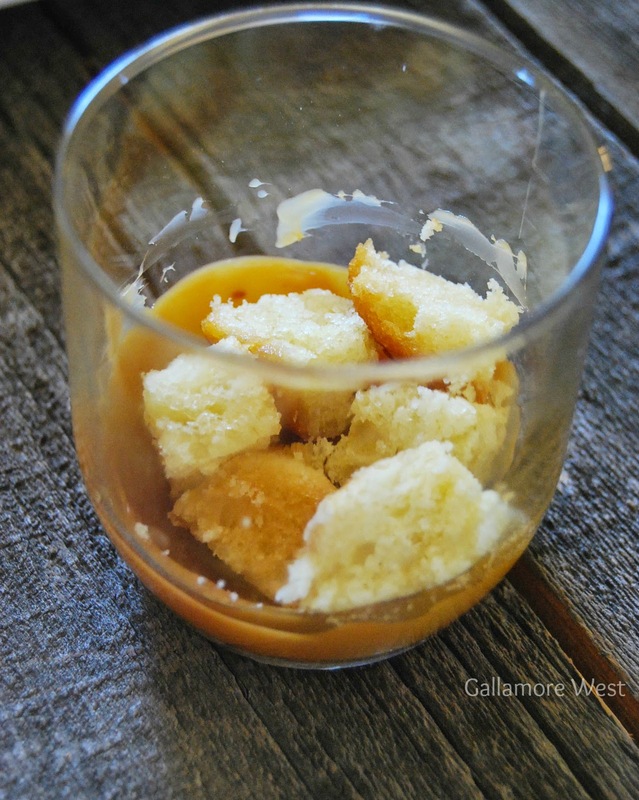 Cut pound cake into one-inch cubes and set aside. Melt Baker's Chocolate in the microwave on medium high. Stir in sugar, vanilla and milk to combine. 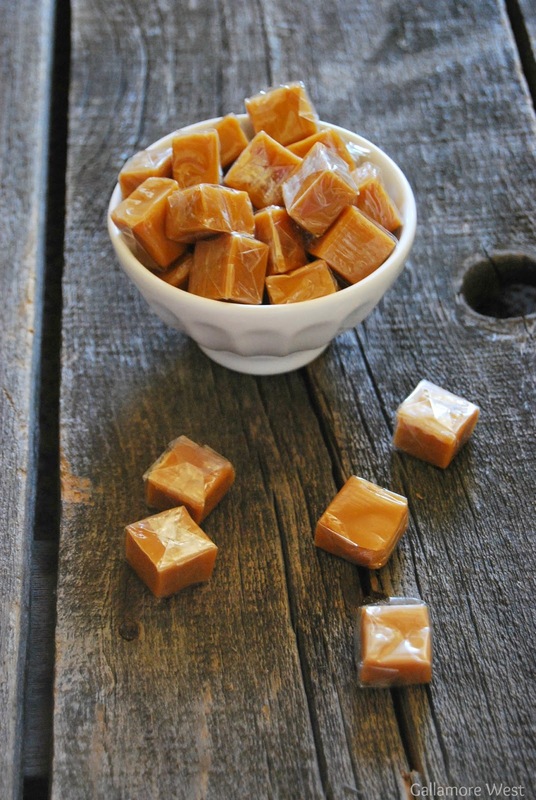 In a separate bowl, melt 25 unwrapped Kraft caramels mixed with 1 tablespoon water until thoroughly melted and set aside. 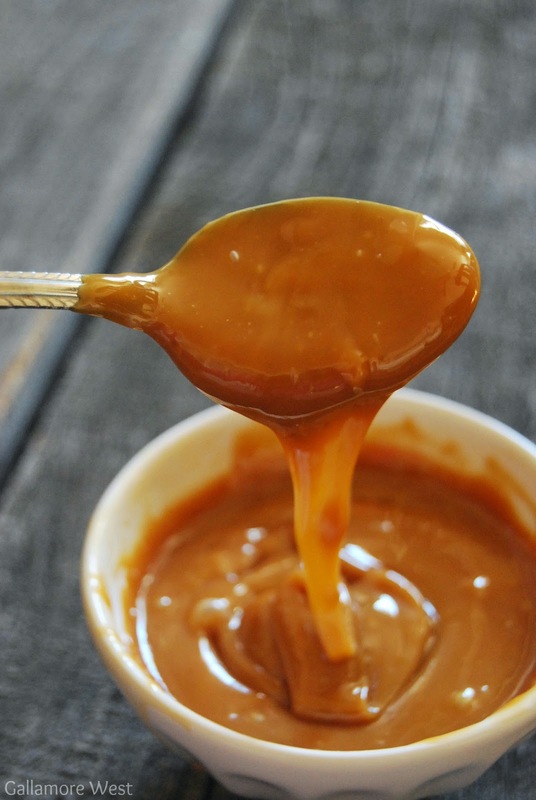 It makes the most delicious, easy caramel sauce! 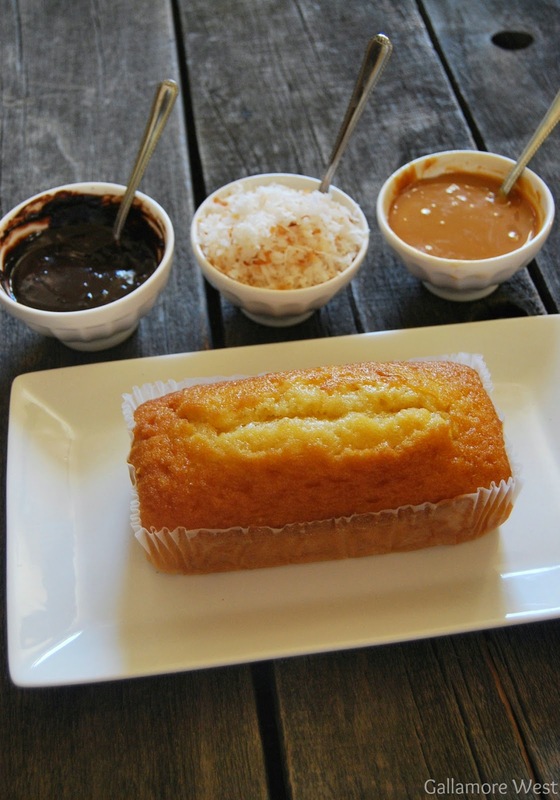 Then add in a layer of pound cake, followed by a layer of chocolate sauce. 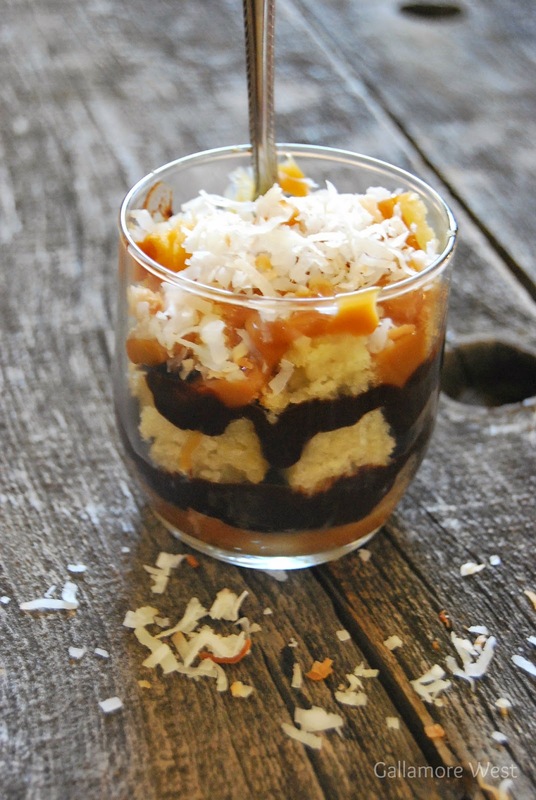 Continue alternating the layers until the glass is full then top with Kraft Caramel Sauce and garnish with Toasted Coconut flakes. This recipe is SO incredibly decadent and delicious, but really only takes a few minutes to put together which is my favorite kind of recipe these days. With four busy little kids running around, I like to be able to pull together something with the "wow!" factor without actually spending hours and hours prepping in the kitchen. I also love that all of my ingredients can be bought at Walmart, because with little ones in tow, that place is seriously SO convenient for me in this busy season of life. 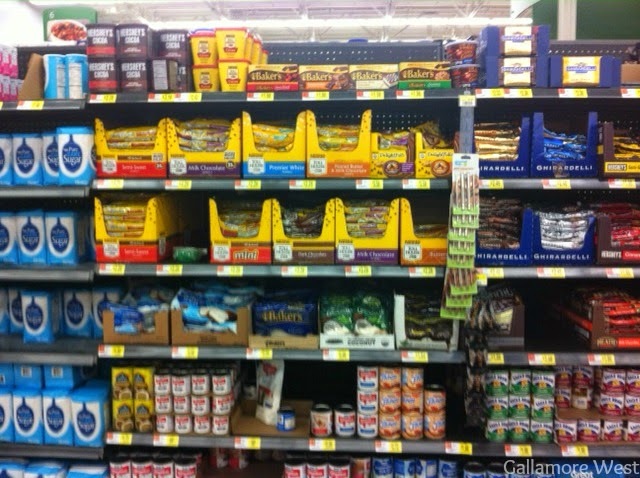 Walmart is the perfect place to stock up on your essential Kraft baking supplies. Check out Cookin' Up Good for more ideas and inspiration, recipes, sweepstakes, and coupons and more from Kraft & Walmart. 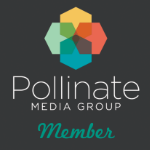 Check out more fabulous recipes here!